There have always been lots of chocolate cake recipes with secret ingredients - like beetroot, beer and even mayonnaise. The latest thing seems to be beans and it's had me intrigued for months. I mean, you really can't taste them? Not even a little bit? Well I finally made my own 'magic bean' cake and it's true, if you didn't know they were there you would have no idea there is an entire large can of kidney beans in this cake. 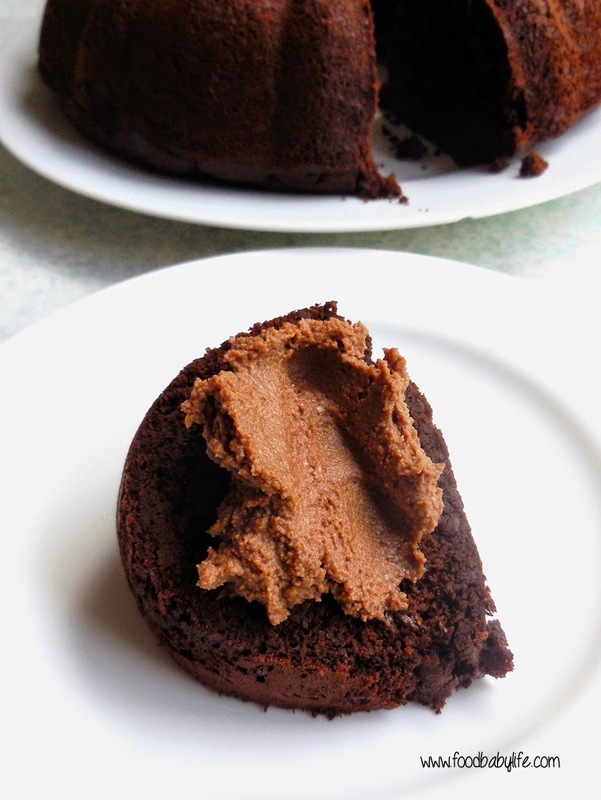 What you get is an amazingly moist, almost fudgy chocolate cake with absolutely no hint of beans whatsoever. It was a huge hit with my kids who have been pleading for more magic bean cake ever since! I made the recipe exactly as written using the remnants of a bag of brown sugar I found hiding up the back of the pantry. My sugar-free palate found it too sweet so next time I will be using sugar alternatives, but the rest of the family had no such reservations. Rather than make a regular icing I decided to cross another item off my to-do list and make a cashew cream icing instead. It was delicious! Much thicker than I was expecting so we opted to smear each individual slice with the cashew cream instead of decorating the whole cake. Both of these recipes are for the Thermomix and in fact the cake recipe, as created by Sarah of Clever Cook, won recipe of the year for 2012 on the Thermomix Recipe Community! 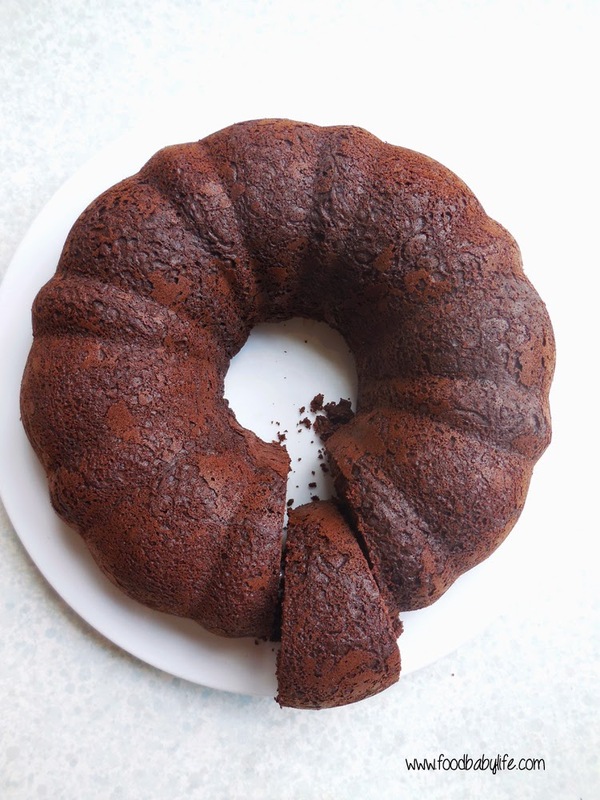 You can of course make this cake using a high powered blender or food processor, anything that will get both the beans and the cashews blended into a very smooth paste. I actually didn't let my cashews get smooth enough as you can see from the picture but that's one of the hazards of baking with kids, things sometimes get rushed or missed! I will be making both of these again and will update this post with my tweaks. Preheat the oven to 170 degrees Celsius fan-forced. Grease a ring or bundt pan very well and set aside. Beat the butter and sugar together on speed 5 for 45 seconds. Add the beans, water/coffee, I egg and vanilla and beat again until smooth on speed 7. Add the remaining eggs and beat for 20 seconds on speed 4. Add the cocoa powder, baking powder, baking soda, and salt and blend on speed 4 for 10 seconds. Pour batter into prepared pan and bake for 35-40 minutes (mine took 45) or until a skewer inserted in the middle comes out clean. Put the first 5 ingredients into the thermomix and grind on speed 9 for 1 minute. Stop and scrape the sides of the bowl and add the water and coconut oil. Blend for a further 3 minutes, stopping and scraping down the bowl a few times. It will eventually become smooth. Check for sweetness and add more syrup if needed. If it is too thick add a little more water, a few teaspoons as a time. Pour into a bowl and refrigerate for a few hours. Whip again before using if has set hard. Both the cake and frosting are packed with protein and very nutrient dense, so a small piece goes a long way! I'll be making this by following your step by step instructions. I hope hubby will love the outcome.